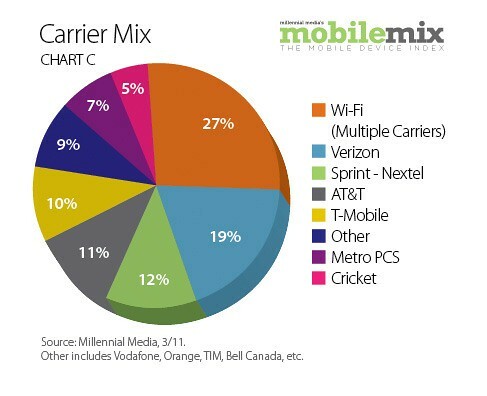 Verizon iPhone has boosted the iOS platform share, according to the latest Mobile Mix report from Millennial Media, which is the largest independent mobile network. Analyzing the top mobile devices and operating system, they found out that Verizon iPhone accounted for 8.2 percent of iPhone impressions last month, which helped grew the iOS platform share 11 percent on a month-over-month basis. 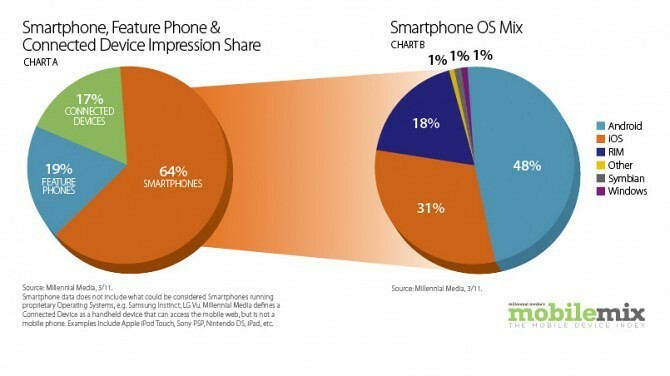 Tablets had 17 percent of the total device impression share versus 64 percent for smartphones and 19 percent for feature phones. 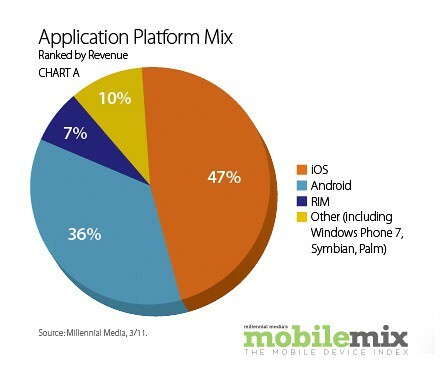 Apple is leading the charge in software and still winning the hearts and minds of developers, with an estimated 47 percent of the application platform mix. The report noted that Android remained the leading smartphone operating system for the fourth consecutive month with a 48 percent impression share. 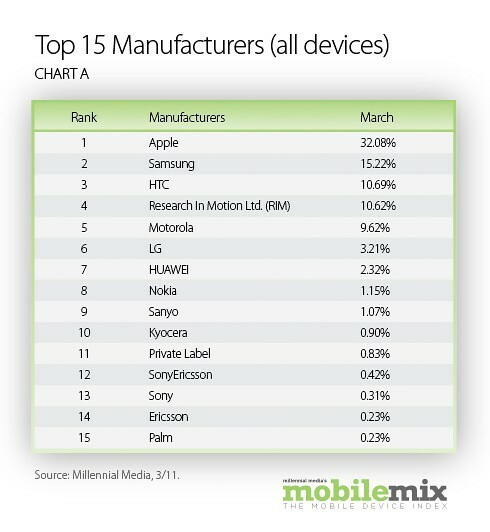 They say 14 of the current top 20 devices are Android-driven. 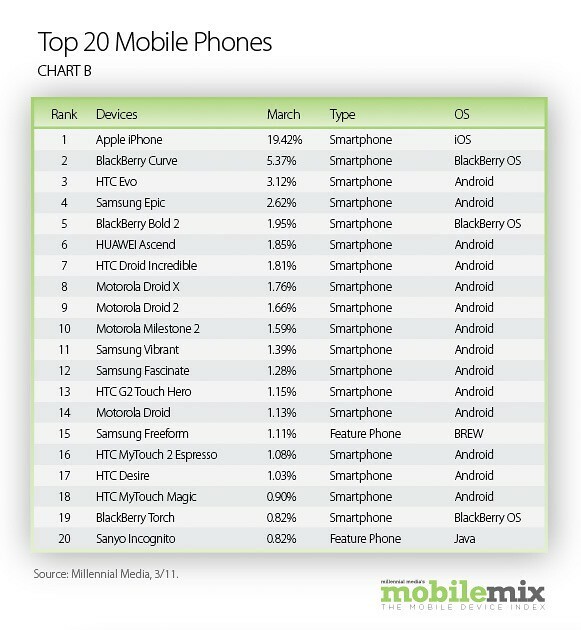 Regarding individual phone brands, iPhone is the most popular handset, followed by the BlackBerry Curve and the HTC Evo, which is the top Android handset as well.